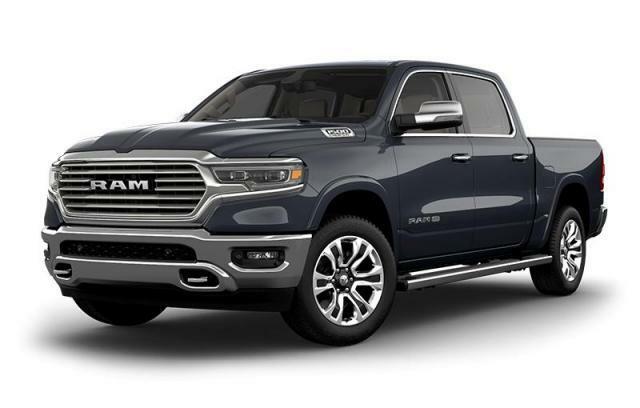 This Ram 1500 delivers a Gas/Electric V-8 5.7 L/345 engine powering this Automatic transmission. WHEELS: 22" X 9" POLISHED ALUMINUM -inc: Tires: 285/45R22XL BSW All-Season, TRANSMISSION: 8-SPEED AUTOMATIC (STD), TRAILER BRAKE CONTROL. QUICK ORDER PACKAGE 27K LONGHORN -inc: Engine: 5.7L HEMI VVT V8 w/MDS & eTorque, Transmission: 8-Speed Automatic , RAMBOX CARGO MANAGEMENT SYSTEM, POWER DUAL-PANE PANORAMIC SUNROOF -inc: LED Dome/Reading Lamp, LED Dual Dome Reading Lamps, MONOTONE PAINT, MAXIMUM STEEL METALLIC, LONGHORN LEVEL 1 EQUIPMENT GROUP -inc: Door Trim Panel Foam Bottle Insert, Power Running Boards, Wireless Charging Pad, Rear Ventilated Seats, Radio: Uconnect 4C Nav w/12" Display, USB Mobile Projection, 12" Touchscreen, SiriusXM w/360L On-Demand Content, harmon/kardon 19-Speaker Audio, Blind-Spot & Cross-Path Detection, ENGINE: 5.7L HEMI VVT V8 W/MDS & ETORQUE -inc: 18" Full-Size Aluminum Spare Wheel, CLASS IV RECEIVER HITCH, BODY-COLOUR BUMPER GROUP -inc: body-colour rear bumper w/step pads, body-colour front bumper, BED UTILITY GROUP -inc: LED bed lighting, 4 adjustable cargo tie-down hooks. You've earned this- stop by Village Chrysler Dodge Jeep Ram Fiat located at 201 Bayly Street West, Ajax, ON L1S3K3 to make this car yours today!